Mayhem Paintball has been voted the best paintball venue in the UK for 7 years running. Just a 20-minute drive from the centre of Bishops Stortford, and 5 minutes off the M25, the most fun and exhilarating paintball experience is available for stag dos, parties and people who just love paintball! Driving from Bishops Stortford, you have the option of coming down the M11 to Epping. Mayhem Paintball is just on the other side of Theydon Bois. Based in beautiful woodland on London’s Essex borders, with a 5-star rating from the UK Paintball Sport Federation, our award winning paintball battlegrounds are the best in the UK. Established in 1987, we have invested and worked determinedly to make Mayhem Paintball the ultimate venue for paintball fans. With cutting edge equipment, excellent facilities and highly trained, professional staff, there’s no doubt you will love Mayhem Paintball! We are the only paintball venue in the UK to issue double-glazed thermal goggles as standard… ensuring clear vision throughout the day, with no frustrating, steamed-up lenses spoiling the fun. We also have top of the range paintball guns, providing the best possible accuracy. The facilities at Mayhem Paintball are excellent, too. No portaloos here, instead we have ‘proper’ toilets, showers and a catering hall. We even have conference facilities for business and a party room for children. Our paintball zones have to be seen to be believed. With our Legendary Call of Duty map, featuring a genuine Russian T55 battle tank, a number of personnel carriers, Land Rovers and military shipping containers; it’s as if the game has come to life! With 14 other battlegrounds, featuring tanks, planes, and custom-made buildings, the fun and excitement are matched only by the amazing detail and imagination that has been invested into our venue! 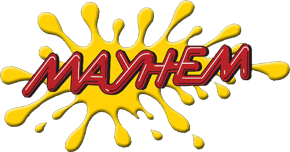 For paintballing in Bishop's Stortford come and visit Mayhem in Abridge. Contact us for more information or Book Now.